I am willing to bet that there are times when you wish the hospital would have given you a how-to, step-by-step guide on how to raise your children when you brought them home. I mean the questions that form as you figure out how to best train, teach and discipline your children pop up almost continuously from the first minute you are home with them. Add in years of tantrums, followed by stubbornness, and power in their own free-will and well, I don't need to say anymore! McCready has put together a toolbox of little tools that help aide parents in this journey when feelings of helplessness have been known to overwhelm the most well-meaning mommy and daddy. The overall premise is focused on understanding that all kids want to "achieve belonging and significance" within their family. (Click to Tweet) Therefore when a child acts up it is most likely because he or she doesn't know where they belong at that moment, or he or she doesn't feel significant McCready wants parents to keep this point in mind always as she goes over, in great detail, the tools of parenting. The very first tool, in my opinion, is the most important tool, and should be used every single day as soon as possible, even if you decide you don't really want to use the rest of the tools. McCready has named this the "Mind, Body and Soul Time" tool. In a nutshell, each child needs two ten minute play sessions each day. These play-times need to be one-on-one (for example mommy and oldest child) and the activity is completely up to the child (no "mommy thinks we should play..."). Then for ten minutes (set a timer!) mommy gives her full attention to the activity and her child. I'll admit, this isn't that easy (yes, I spend tons of time with my kids, but not much separately) each day, and I tend to direct their play in order to keep clean to a minimum! The timer is a great tool because then when it goes off, it is time to clean the mess. And, following McCready's recommendation, I end each play time with a hug and this phrase, "I really loved mommy-Wyatt playtime today, I can't wait until we can do it again!" And yes it sounded a little cheesy the first couple of times I said it, but now it doesn't and, and my son asks for it, as our time is scheduled into my day, and he knows it. There are twenty-four more tools that can are very useful, I highly recommend reading this one, even if your kids aren't little (under 5) or still in that training period (6-12) because most of them are techniques that will help you build confidence in your ability which translates to a confident parent. And it doesn't matter the age of your kid, all kids want confident parents. One of the complaints I've heard about these techniques is dealing with stubborn kids. As one tool is focused on giving a this-or-that type of option for chores and homework - such as "you can do your homework at your desk, or at the dining room table." 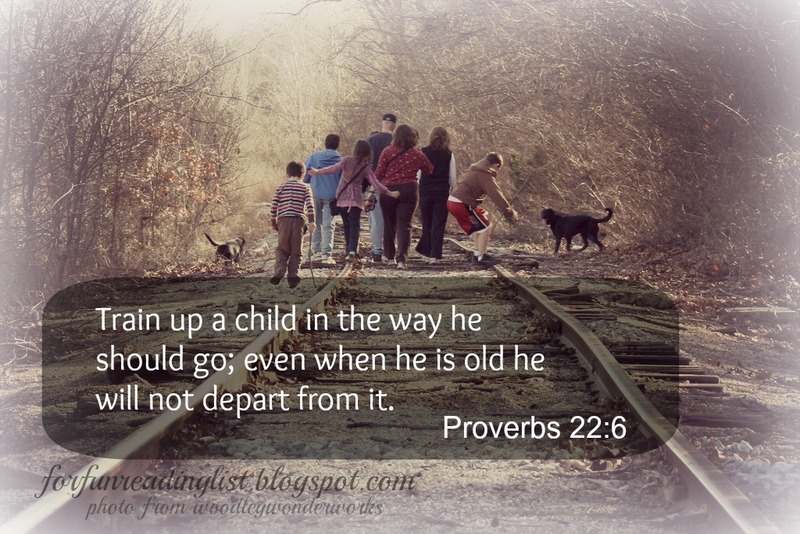 As a mom of a strong-willed child I know the feeling (although not with homework yet...). From my study of this book, I think McCready would recommend a combination of many of tools for such events and realize that a positive result (a child picking one place and then actually completely his homework) should be expected for a few days. As these are tools and techniques that have to be taught, and such lessons take time. Another complaint that seems to float into the reviews of this book is the lack of disciplinary options. McCready is explaining a parental technique that focuses on more democratic family system and less of a "top down authority" family system. However, there is a place for discipline in these tools. As you learn to incorporate the different tools, you will role-play different situations and include examples of the consequences that would result in them - allowing your child to see what will happen. When you are in the heat of a new circumstance that you haven't role-played, you would discuss the consequences that will happen if this situation happens again, and then you follow through! No yelling, no anger, just simply state the consequence and do it - if that means no more TV, then no more TV. If that means your daughter won't be going to that sleep-over, then she doesn't go. Period. McCready does a great job of going through many scenarios and detailing how to use each tool (much better than my two little made-up examples!). And yes I know that there are many many parenting books out there. So many in fact that us parents can feel overwhelmed. But this one is a good one. And it's alright to read it and only pick a couple of tools to use with your family, or none at all. However, if you've found yourself wondering what is the next step with a new phase your child has entered, this might just hold a key for you. If you want to learn more about Amy McCready's Positive Parenting Solutions check out her site, she has a great online program if you want in depth help. 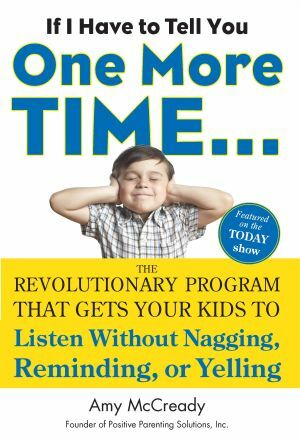 And of course you could check out her book, If I Have to Tell You One More Time...: The Revolutionary Program That Gets Your Kids To Listen Without Nagging, Reminding, or Yelling from your local library or bookstore! What do you think of the "Mind Body and Soul Time"? Do you already do this with your kids? What questions do you have after reading this review? Please feel free to ask, maybe someone has some wisdom to share!